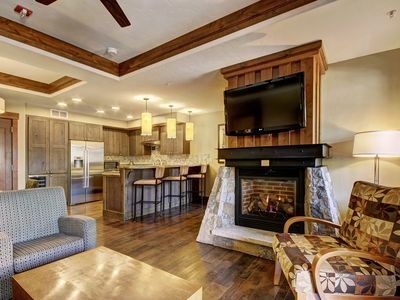 THE premiere, ski-in luxury condos in all of Copper Mountain and earning platinum-level designation by the Village, the exclusive Cirque! 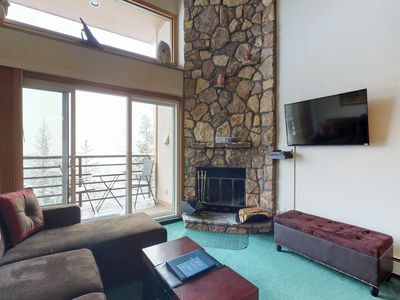 With its classic, French alpine villa architecture, stone trim, grand staircase and European boutique color palette, this two bedroom, two bath Cirque condominium offers a true luxury mountain experience. 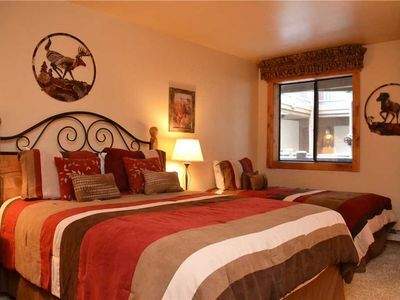 The master suite has a king-size bed, large flat panel TV and spacious master bath with full soaking tub, glass-enclosed shower, and double sink. 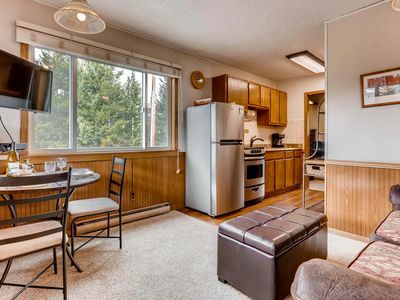 The gourmet kitchen adds a contemporary touch to the alpine décor. 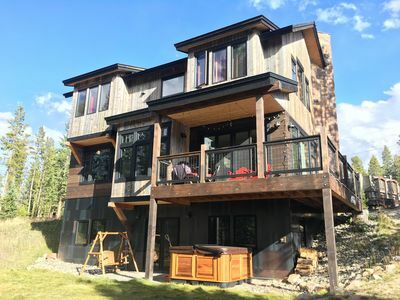 You will also have year-round use of The Cirque’s two heated outdoor pools featuring zero-depth entry with interactive water features and separated by a waterfall and stepping-stones. 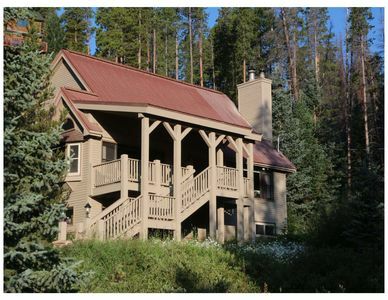 The heated pool deck, large outdoor firepit, spacious hot tub create a high-alpine, outdoor spa experience that is unmatched in the county. 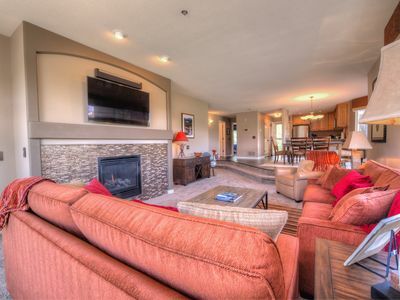 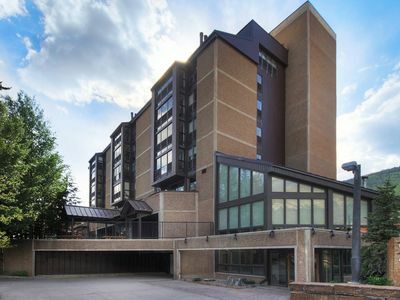 The Cirque also boasts a Club Room with cozy fireplace and bar, perfect for entertaining with friends, a Kid's Room with TV, video games, and toy stations; a Media Room with large screen, surround-sound TV/DVD, changing rooms, ski locker rooms with boot dryers, and heated underground parking. 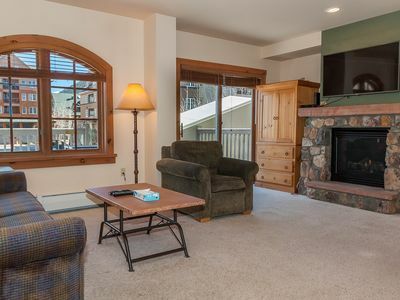 Located between Copper’s main ski lifts at the Center Village and the gentle slopes West Village (aka Union Creek), it's the perfect location to for families who ski both. 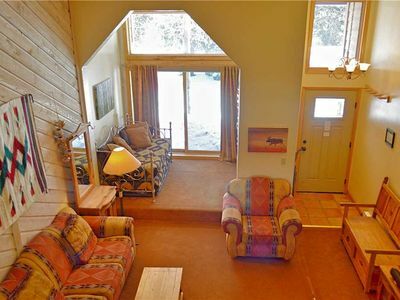 A private entry via your west-facing, ground-floor patio provides easy in/out, and the perfect place to bask in the warm sun after a day of skiing. 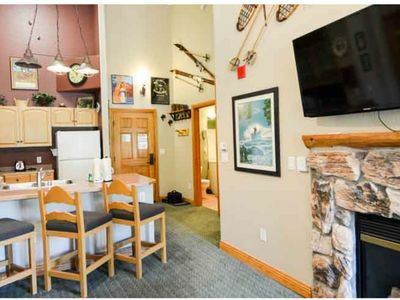 And rock climbing wall, coffee house, boating/skating lake, restaurants, and shopping are a short walk to the Center Village. 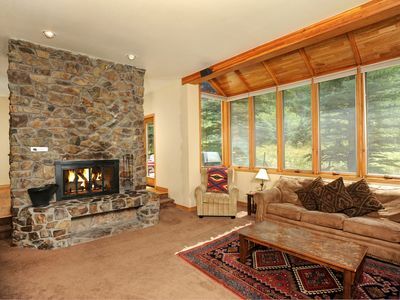 About Copper: Hailed for years by locals as 'THE Skiers Mountain,' Copper Mountain has 20 ski lifts over 2433 acres. 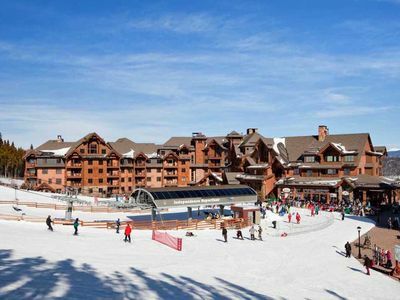 The mountain artfully blends terrain for the most advanced skiers and boarders, with the gentle, beginner slopes of West Village. 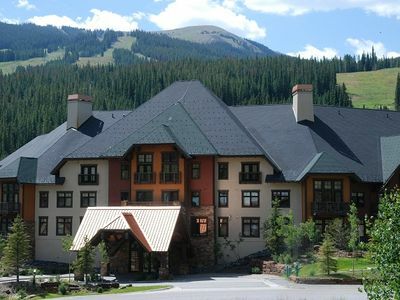 Copper is conveniently located 75 miles west of Denver International Airport, 45 minutes from Vail/Eagle airport, 25 minutes from Vail, 15 minutes from Breckenridge, and 20 minutes from Keystone. 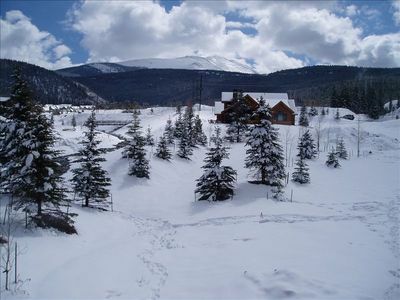 There is a free shuttle service around Copper Mountain and Summit County Ski Resorts. 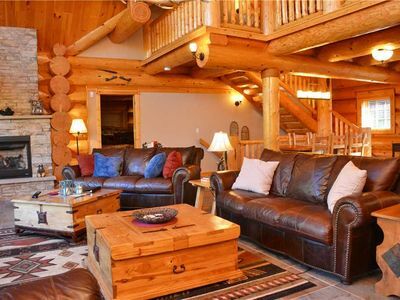 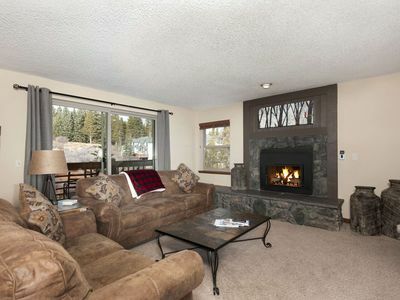 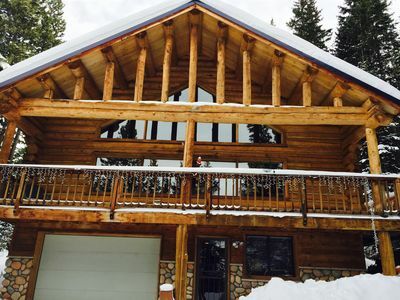 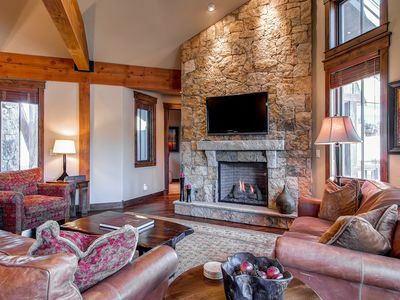 STAY CREEKSIDE - Your Luxury Mountain Getaway, Just 5 Minutes to Historic Breck! 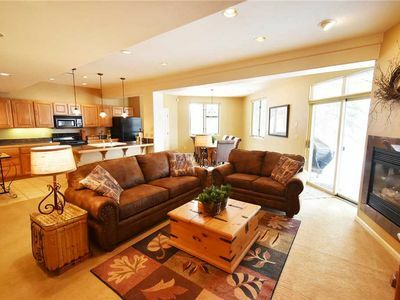 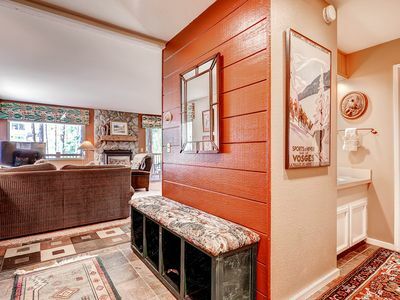 Charming mountainview condo with shared pool & hot tub plus home comforts!